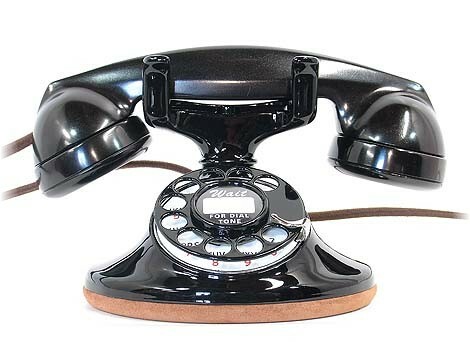 Here is your chance to own an original, 1933, Western Electric model 202 desk-set telephone with the very desirable 5H clickity dial, and the F1 bakelite handset, in full operating condition. Works just like it did 75 years ago. All you have to do is plug it into your modular wall telephone outlet and start dialing and talking. Works right out of the box - guaranteed. This telephone has been completely disassembled and professionally restored with "attention to detail" for every single part. Nothing has been overlooked. The finish is a spray-gun applied two part paint system. It is the most expensive and difficult to apply and is far superior to any other coating available. It is chosen for its durability, depth of color, and its overall beauty. 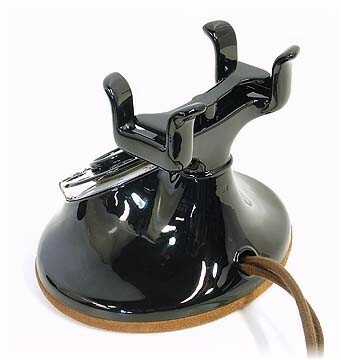 Only the best available brown, cloth-covered cord is used for the line cord and handset cord. 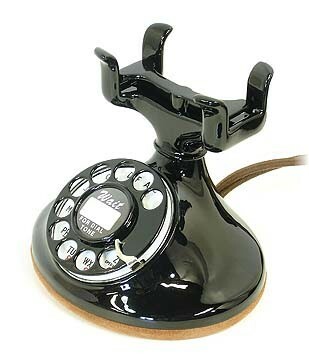 This beautiful cord is especially manufactured for telephone restorations to match the original. 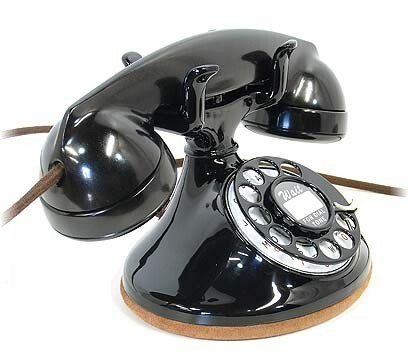 This very desirable, solid bakelite, F1 handset has been machine buffed to a soft, brilliant luster. These images are taken under very bright lights with a high resolution digital camera to ensure that you can see what you are bidding on. Would you rather be told that the finish is beautiful, or see it for yourself. Beautiful "Z" porcelain dial face is in super fine condition. Numbers and letters are bold, bright and crisp. The nickel plated finger stop has been machine buffed to a mirror finish. 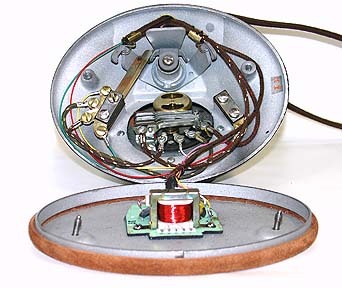 The model 202 was the last Western Electric to employ a separate voice network and ringer (i.e. subset box). This telephone physically did not allow for an internal ringer and voice network. To provide the user of this telephone with the sound quality obtained by using a voice network, but not having to contend with a bulky add-on box, a miniature voice network has been internally installed. A telephone without a voice network is not a complete telephone. 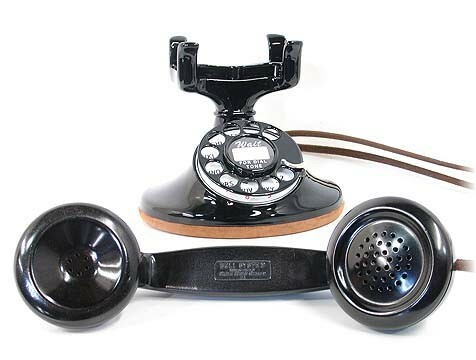 The installation of this GTE miniature voice network in no way decreases the value of this telephone, as all original parts are still in place. This installed network is electrically similar to the older external networks (subsets) and is only a smaller version. A modern bell type telephone ringer box will be provided at no extra cost. This ringer box is small and easily plugs in at the telephone wall outlet so that the user can associate incoming calls with this telephone. It is being used just as an old subset ringer would have been used. 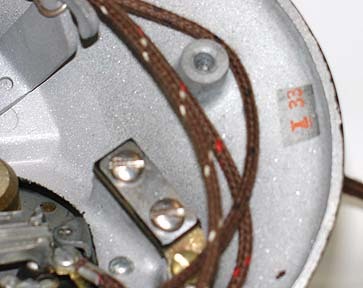 Western Electric date stamp I 33 indicates that this set was manufactured in the 1st quarter of 1933. 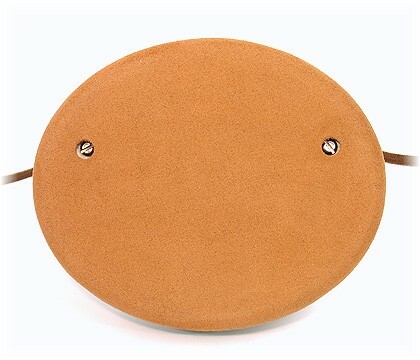 The bottom plate has been bead-blasted and recovered with genuine suede leather that closely matches the original leather cover. It is soft, supple, and smooth. 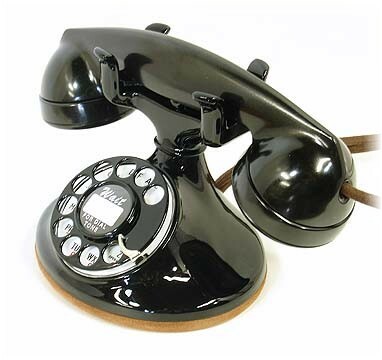 I have been restoring vintage telephones for many years and stand behind my telephone restorations 100%. If you need to return this telephone, you need only CONTACT ME within 24 hours of the delivery confirmation. Then return the telephone to me within 7 days of receipt in the same packaging and in the same condition as shipped, and you will receive a prompt refund of your full purchase price. So please bid with confidence. Your questions and comments are welcomed. 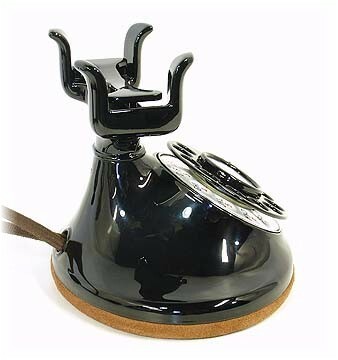 Although it is very rare for anything to go wrong with my telephones, I still give a 1 year parts and labor warrantee on all electrical parts, not including damage. In addition, I am available for tech support by email or telephone. Shipping with insurance via USPS Priority anywhere in the continental U.S. is $20.00. This includes quality packaging with new materials to assure safe arrival. International bidders are welcomed. Please email for shipping costs. I also restore vintage electric fans, so please check my other auctions.